I previously shared a tutorial for how to sew a baby bib with a pocket, which I made for my nephew. 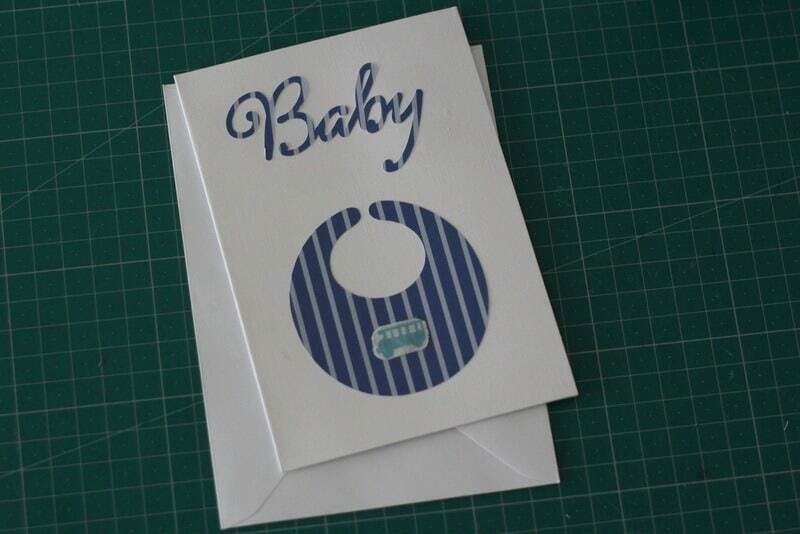 A baby bib wasn’t a good enough gift though, so today I’m sharing the other presents I made for this baby boy. 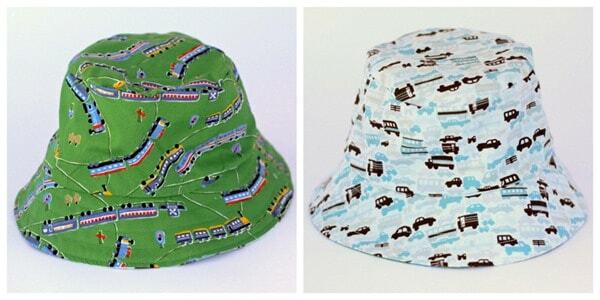 I ended up making two bibs, one with train fabric leftover from a bucket hat I made Jacob last year, and one with cars and trucks, leftover from this shirt for Jacob. This made me think a reversible bucket hat would be a different present for a baby boy, using the same two fabrics as the bibs (this gift was great for scrap-busting!). I used the free Oliver and S pattern, but used this tutorial to avoid the hand-stitching. Finally, hats and bibs are a little boring. I had to make something fun too. After asking on Facebook, the friend who received my last flat teddy told me I had to make another. 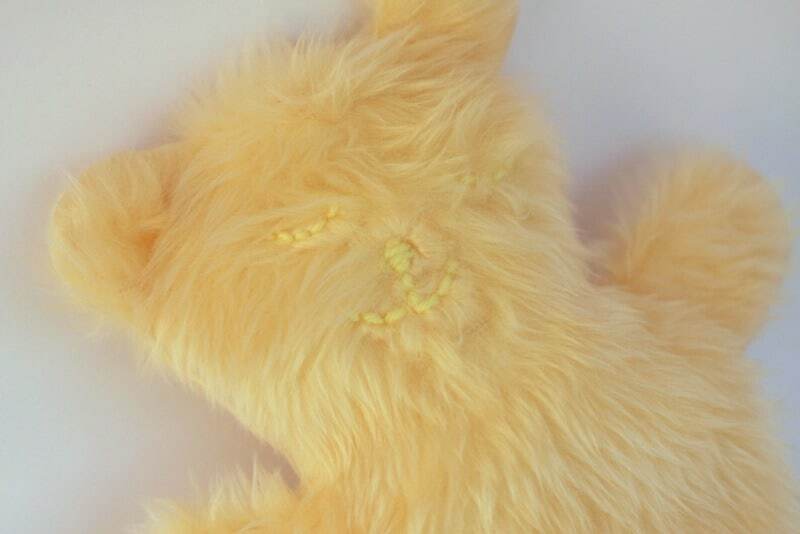 This time, I thought I’d go for a fluffier option than minky – faux fur (leftover from a craft fail that I’ll have to share with you sometime). One eye ended up a little wonky (still need to work on my hand embroidery skills! ), but I decided that added to his character (ie I didn’t have the energy to fix it!). He’s still cute and cuddly! Lastly, I made a simple card using the in-built templates in my Brother Scan’n’Cut, with a bus picture from the fabric used for the bib and hat as an extra embellishment. 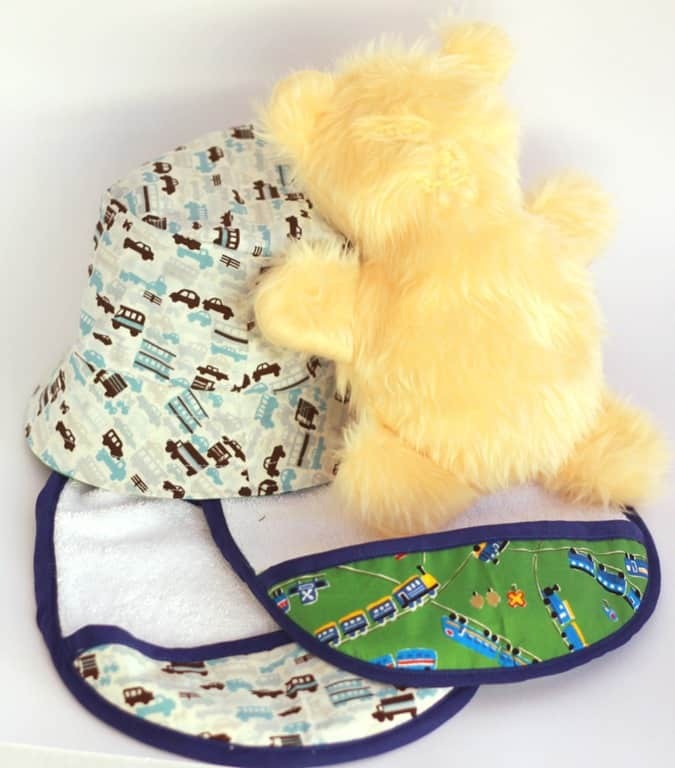 In the end, I sewed two bibs, a bucket hat and flat teddy as my baby boy gift set. A nice collection of handmade goodies! What are your favourite presents to sew for baby gifts? Cute! 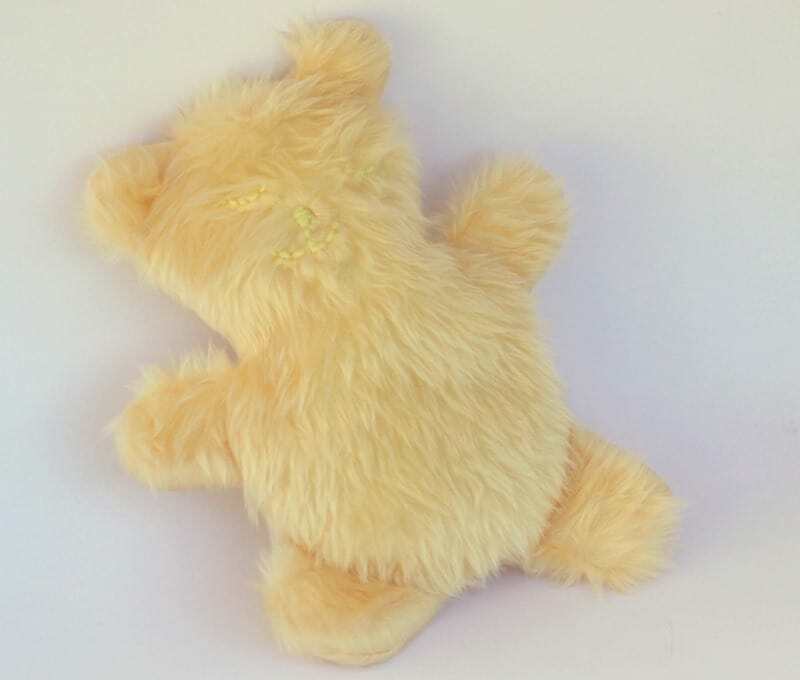 That flat teddy is a great idea for a baby gift – and he does have heaps of character! Brilliant idea! I think it is better if we give two or more presents aside from baby bibs. That flat teddy is the very awesome one. Great post!